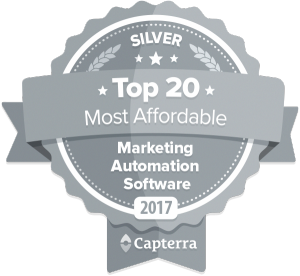 The Capterra Software Labs team recently released a Top 20 Most Affordable Marketing Automation Software infographic. We’re pleased to announce that Blitzen placed in the Top 5 out of the hundreds of solutions listed on Capterra! We received a full five stars for our customer service and overall experience, which includes analytics & ROI tracking, segmentation, contact management, lead scoring, web forms, website visitor tracking and more. Our mission at Blitzen is to make marketing automation technology more accessible to your business. This is why we decided to make it even easier for you to say “YES!” to marketing automation by offering a $25/mo entry point. We know that one size doesn’t fit all when it comes to the size of your contacts database. 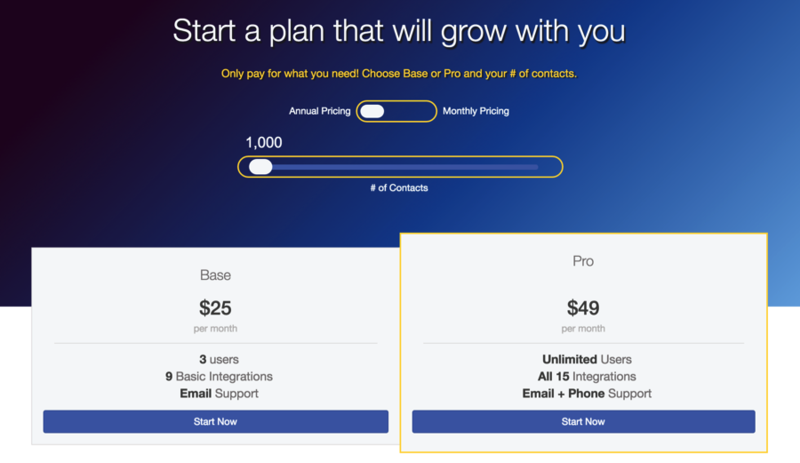 That’s why we decided on a simple pricing model by offering just two tiers of features (Base vs. Pro). With our unique pricing slider, we’ve made it so you can more flexibly choose from a wider range that will fit your database needs more precisely, without having to sacrifice any feature functionality. This way you can get the rewards of better converting forms, personalization, productivity-inducing automations and improved marketing ROI without any risk to your monthly cash flow – we promise! We know that we’re only going to be successful if you are, which is why we want to help you choose the plan that is the best fit for you business. So reach at us at sales@blitzen.com and we’ll help you find the plan that fits your needs!